The Little Rose is the last remaining pub in the village. As of July 2014 it is under new management and is now a proper, true Freehouse. This means it can sell whatever real ale, lager, wines and spirits it wants to. It also sells teas, coffees and a range of soft drinks, with a special section of children’s drinks. It’s now open from Noon until Late seven days a week. Neil and Sue Poole are the new managers, and have lived in Haslingfield for forty years, before taking over the pub in July 2014. 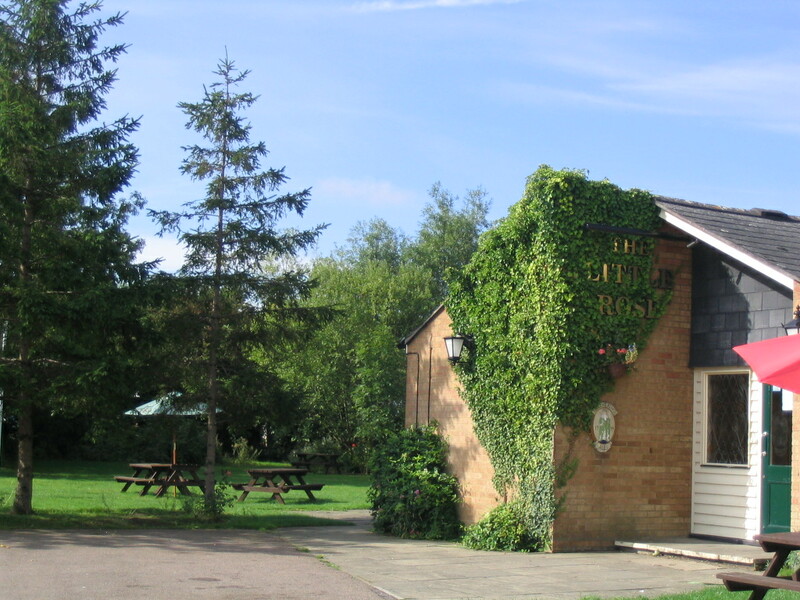 ‘The Rose’ has a comfortable lounge bar/dining room, a separate public bar, and a large garden with children’s play area and a petanque piste with floodlights. Families with children of any age are warmly welcome. It serves food (see menu below) including special children’s meals, from 4pm until 9pm Mondays to Fridays and from Noon until 9pm on Saturdays with special Sunday Lunches from noon until 3pm on Sundays. There is now a Little Rose Support Group which has registered the pub as an Asset of Community Value. This gives the pub a small measure of protection. There is Sky Sports and BT Sports in the public bar for all major sports events including live football. It also has a music licence for special occasions and a pool table in the public bar. The pub has a darts team playing in the local league; a petanque (boules) team that also plays in the local league; and a cribbage team. Traditional Sunday lunches are served from noon until 3pm, are cooked by a local, professional chef, Adults £8-95 and Children £5-95. It also caters for functions. The pub’s address is 7 Orchard Road, Haslingfield, Cambridge CB23 1JT or you can call it 01223-870618. If you click on Pub News below, then you’ll see all the latest news on the pub. An invitation for the pétanque/boules players. Travel is very straightforward, and hospitality warm. A very modest knowledge of French will suffice. Mine is good. Please can I have the postal addres of the village pub. FISH AND CHIPS ARE BACK!